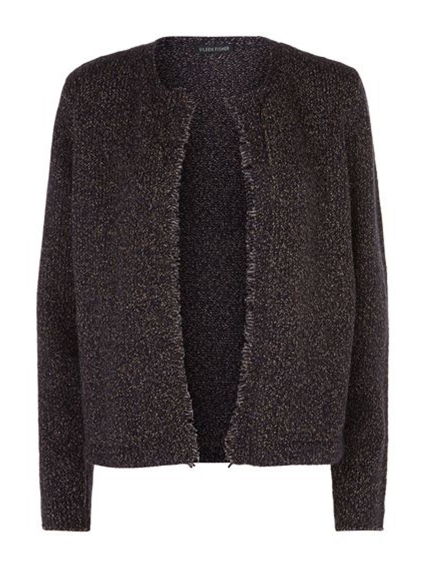 Layer everyday looks with this open front cardigan from Eileen Fisher. Rendered in a warm wool and recycled cotton blend, it features a straight cut and softly fringed edges for a tweed-like finish. Team it with tailored trousers, dresses or jeans for a relaxed finish.